Shaymaa concentrates her practice on litigation, corporate, commercial arbitration and construction disputes, including drafting, reviewing and negotiation such agreements. Shaymaa has a broad range of experience in providing legal consultation to both national and international clients. She also has substantial experience in dealing with Real Estate and Land Registry Department. 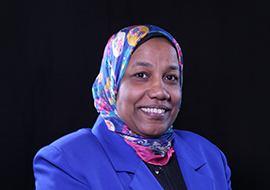 Prior to joining Badran Law Office in 2007, Shaymaa practiced for about six years in litigation at many law offices.